Insignificant oily film on the air filter element can appear due to complete contamination of the air filter or significant contamination of the crankcase ventilation system: pipes, oil separator, oil separator screen, valve of the crankcase ventilation system. Significant fouling of the air filter element and presence of oil in pipes and the air filter pan is caused by high pressure of crankcase gases due to the wear of parts of the cylinder-piston group. 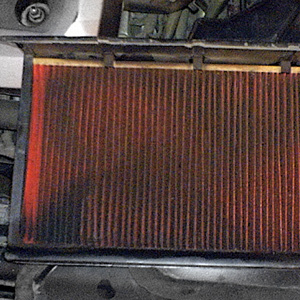 Insignificant oily film on the air filter surface indicates contamination of the engine lubrication system or complete contamination of the air filter element. In case of contamination, the air filter element should be replaced. 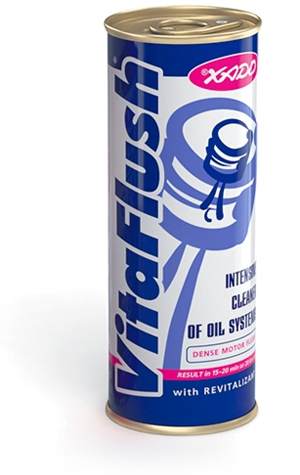 If the engine lubrication system is contaminated, before oil change it is recommended to introduce Vita Flush − oil system cleaner into the old oil and drive 700−1,000 km. Then the motor oil should be changed along with the oil filter. Application of XADO VitaFlush by each oil change allows to keep the engine and the crankcase ventilation system clean. In case of significant fouling of the air filter by non-critical wear of parts of the cylinder-piston group (which can be determined through the engine diagnostics), it is recommended to clean the lubrication system with XADO VitaFlush and then carry out a non-scheduled oil change. After cleaning of the lubrication system with XADO VitaFlush and motor oil change it is recommended to treat the engine with XADO Revitalizant® for engine in order to restore worn parts of the cylinder-piston group. XADO Revitalizant® recommended for treatment of the engine lubrication system: XADO Revitalizant® (for gasoline and/or diesel engine) or Revitalizant® EX120 (for gasoline and/or diesel engine); 1 Stage Engine Revitalizant®; XADO АМС Maximum – Atomic Metal Conditioners with Revitalizant®. If significant fouling of the air filter and complete contamination of the crankcase ventilation system are caused by critical wear or destruction of parts of the cylinder-piston group (which can be determined through the engine diagnostics), the engine should undergo complete overhaul.